After picking you up from your hotel, we’ll drive along the beach collecting other passengers and there you will have a chance to hear some interesting stories from Rio’s past and Present. You’ll feel the vibe locals felt when Rio was appointed to host the Olympics, hear about the City’s famous New Year’s party while having a chance to see some of Rio’s unique sports, like Frescobol and Footvolley. We’ll make our way to Lagoa Rodrigo de Freitas (except on Sundays). There you’ll drive by Flamengo’s headquarters and hear a little bit about the 4 most famous soccer clubs in the Rio and the rivalries involving Botafogo, Flamengo, Fluminense and Vasco da Gama! Before heading to Laranjeiras, you’ll hear about the gorgeous Botanical Garden, just a couple of streets away from the Lagoon. It was founded in 1808 by former Portuguese Emperor D. João VI and it shows the diversity of Brazilian and foreign flora, the garden is quiet and serene on weekdays and blossoms with families on weekends. While crossing Lagoa on our way to Cosme Velho, you can see the typical carioca lifestyle, with its many options for open-air activities, restaurants and the famous paddleboats! Upon reaching Cosme Velho Station, sitting at the bottom of Corcovado Mountain, we will catch the train with pre-reserved tickets to save time and it will take you up to the top, through the dense Tijuca rain forest to the 38m tall (125ft) Christ Redeemer Statue. The 20 minute ride up will give you a chance to thoroughly appreciate the Tijuca Forest, which is considered to be the largest urban forest in the whole world. It represents 7% of the whole city`s territory! It’s breath taking and that alone already makes the trip well worth it. After riding the train back down, guests will make their way back to their hotels while having a chance to hear about Rio’s economy, which has shifted throughout the years, having relied on Coffee, Gold and more recently Oil for most of its income. The devastating losses in both World Cups held in Brazil will not go unmentioned and you will have an in depth look at what life is like in the Favelas. We hope this makes for an insider’s look into the life of Rio’s locals. Hopefully you’ll leave the tour felling truly like one. Great to hear! We do our best to constantly live up to the standards and itineraries we post online, and it's fantastic to hear that this was upheld on the day you joined us. We hope to welcome you onto another sightseeing experience soon--wherever that may be--and hope you have a great Holiday Season and year end! 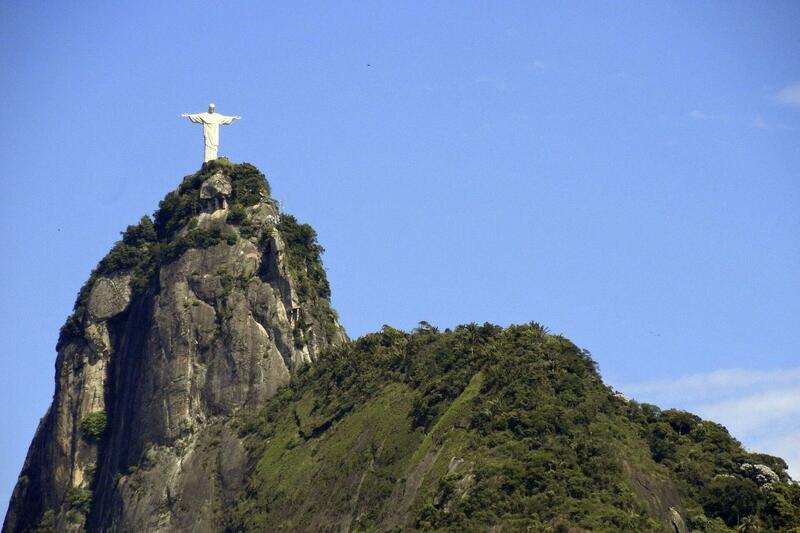 We are sorry to hear you were not able to join the Corcovado with Christ Redeemer Statue tour. Thank you for your review as it provides us with the opportunity to improve. The bus was very comfortable and took us right to the entrance. Great tour!